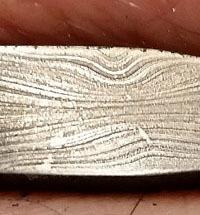 At the end of the day, "it all comes down to customer service and price" - but of course the problem when shopping for swords online is that it is often very hard to be able to tell a good seller from a bad one (and unfortunately, there are some rather bad apples out there - after all, this IS the internet). 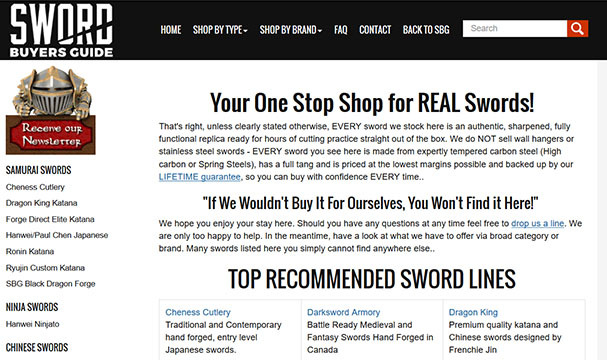 To save you the hassle of learning the hard way, we have used the feedback of the SBG sword community to sift through all the fly by niters and 'couldn't care less' sellers of swords online to create the Sword Buyers Directory where we list only the very best, tried and tested vendors who specialize in selling affordable fully functional swords online. Click here for our collection of exclusive SBG Discount Coupon Codes and $ave! 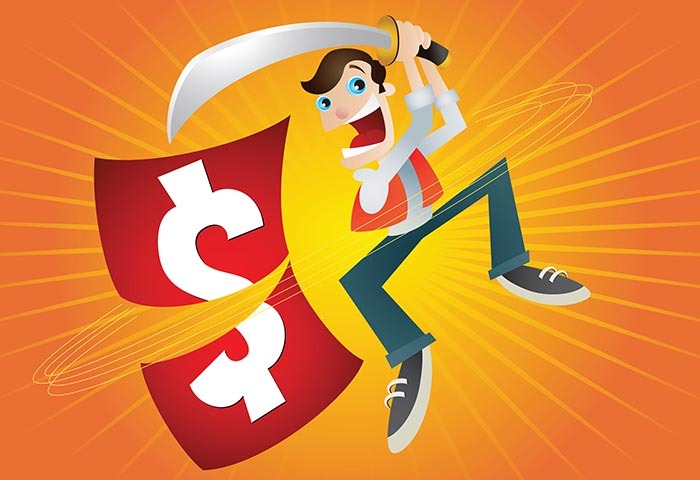 But if you don't want to take a chance when you source your swords online (after all, a quick read through some of our user submitted Sword Buying Horror Stories shows that there are some real scammers out there) - the SBG sword buyers directory is exactly what the sword doctor ordered..! 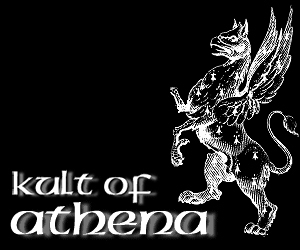 The following sellers of swords online have been around for years, have solid reputations and are especially well respected by the sword community for offering the best prices and customer service that goes above and beyond the call of duty. NO fly by niters here - only the best of the best! 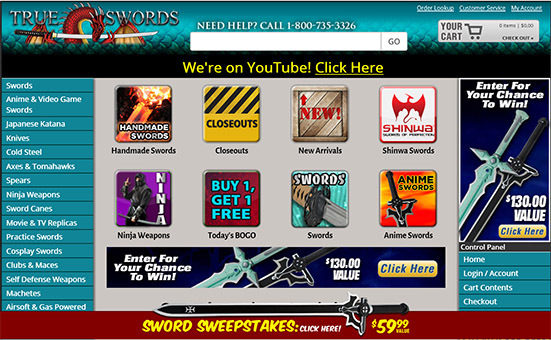 It is STRONGLY recommended that if you are new to shopping for swords online you stick to this list. And that is just getting started... (click here to read more about why KoA are the FIRST choice for most collectors in the know). Read or submit feedback on this seller! 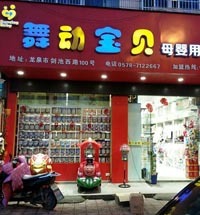 At first glance they look like just about every other stockist of cheap decorative fantasy, anime and movie swords, but they are the place to go for Cold Steel, Masahiro, Ryumon and Musashi Swords, with prices often half that of what you normally pay for these swords online elsewhere! 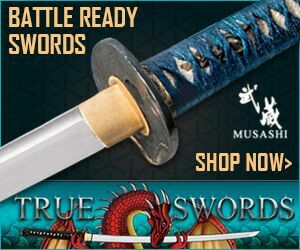 Aside from the lowest prices for these Japanese swords online, they also have clear in stock designation, exceptionally fast shipping with Fed-ex and their customer service is truly awe inspiring, going far beyond the call of duty. 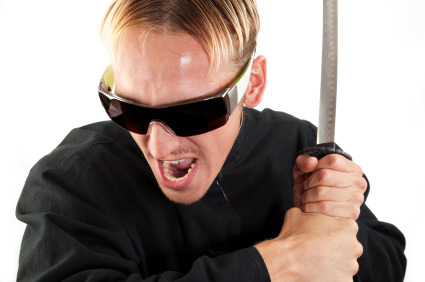 Apart from the main brands of Japanese swords (which they dominate in terms of price and availability) they also stock a featured range of generic Full Tang swords at bargain basement prices. 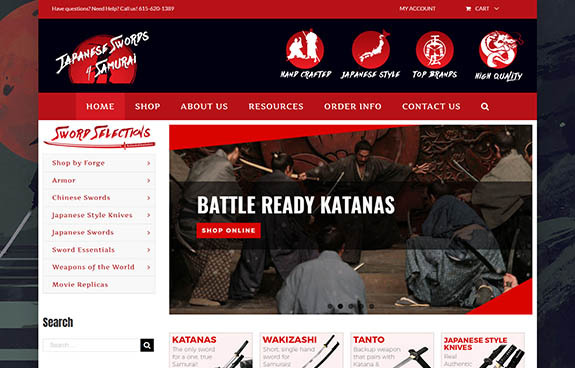 A specialist in Japanese Swords Online since 2003, in 2018 this respected website was given a new lease on life when it was taken over by one of the leading suppliers to other top retailers in the sword industry. 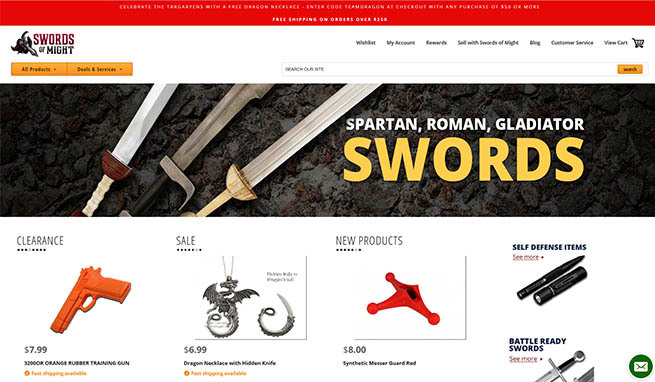 Not only was the site given a fresh new, modern look - but with a veritable arsenal of new products available to them (including swords from other cultures and time periods) the site has been expanding its range on a daily basis. In addition to a commitment the best possible price with their price beating guarantee, they physically stock most items allowing for same day shipping, carefully inspect for flaws and defects before shipping, offer special gifts and free shipping once a certain price point is reached, are also reachable by phone or email for any questions or customer support issues, and are the Master Dealers for Imperial Forge and Thaitsuki Samurai Swords - making them a fantastic choice for Japanese Sword enthusiasts as well as anyone looking for great deals and service when shopping for other swords online. 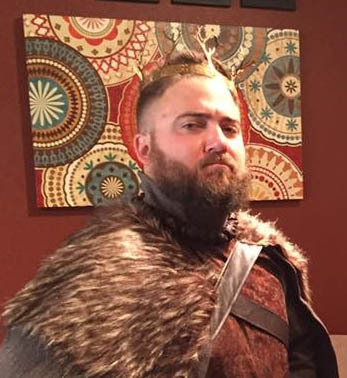 Swords of Might was founded in the early 2000s and for many years was a popular vendor in the sword community - but things started to unravel for the previous owner in 2014 until late 2016 when the company was taken over by Hunter Follett (pictured). In only a few short months, Hunter and his team, who have extensive experience in business systems and customer service, not only restored Swords of Might to its glory days, but made it better than ever before. 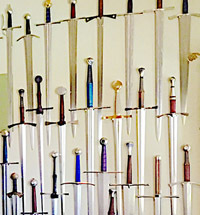 Indeed, so good that other sellers of swords online should probably be a little nervous..
With fair and transparent policies, excellent prices and truly professional customer service - their massive inventory is carefully managed to avoid the problems that plagued the previous owner - and they back it up with a 110% in stock guarantee. Give them another try. You will be glad you did..
As the name suggests, swords of the East stocks only Eastern (primarily Japanese, though also Chinese and Korean) swords, and they have one of the largest ranges of Japanese swords online, stocking blades from practically EVERY major sword manufacturer. While their range itself is excellent, they also offer free shipping and competitive pricing - going so far as to beat any of their competitors price by $10! (conditions apply). With knowledgeable staff, great customer service and good advice on getting the sword to suit YOUR requirements, SoE is definitely well worth a visit from any lover of functional Eastern swords and Weaponry and have something to suit every budget/price point. 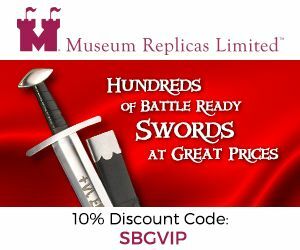 With manufacturer direct deals and many exclusive swords simply not available anywhere else, the SBG sword store should be your first choice for buying swords online. 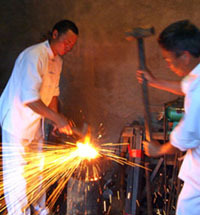 We make the process of sword buying easy by ONLY stocking the very best of the best fully functional swords with not a wallhanger in sight.. No need to wade through hundreds of dubious swords hoping for the best, at the SBG sword store we have done the hard work of picking out the jewels from the junk for you and clearly stating delivery times, stock levels and everything else you need to know to make the most informed sword buying decisions possible! 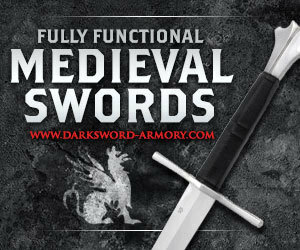 Each and every sword is selected by one criteria "if we wouldn't buy it for ourselves, you won't find it here" and backed by a hassle free return policy and lifetime warranty against blade breakage that gives you all the benefits of buying direct from the manufacturer but with us in your corner if something should go wrong..
With old fashioned customer service, free advice and direct access to the owner of SBG by shopping with us not only can you get the best selection of truly battle ready, fully functional swords at the best prices - but each purchase helps to sustain and fund what we do - a true WIN-WIN if there ever was one! 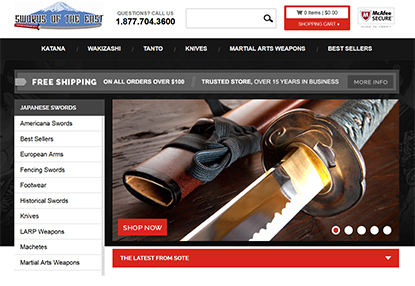 The Official SBG Sword Store! 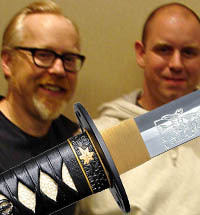 Read or submit feedback on our very own sword store!! Live outside of the US and looking for a local supplier to service your sword addiction, or just looking for more options? Simply select your region by clicking on the flag that best represents the location you want to check out. Want to Save on International Shipping? 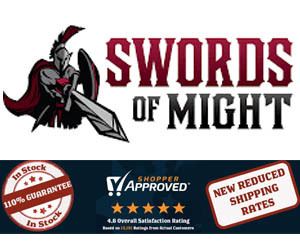 Alternatively, there is a way to order direct from the best US customers - save on shipping and import duties and get your swords within a few days as if you were living in the USA! 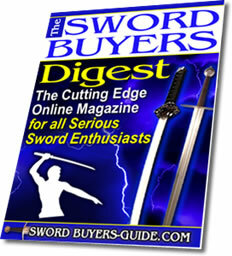 Click here for the International Sword Buyers Best Kept Secret! 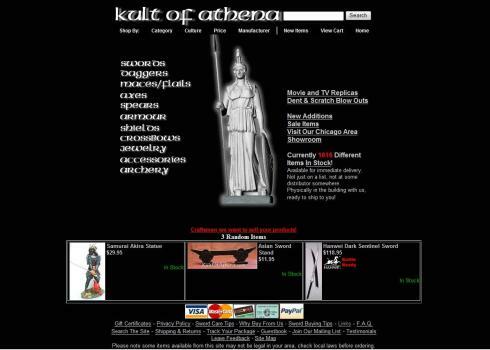 I hope this directory of places to buy swords online has been helpful. 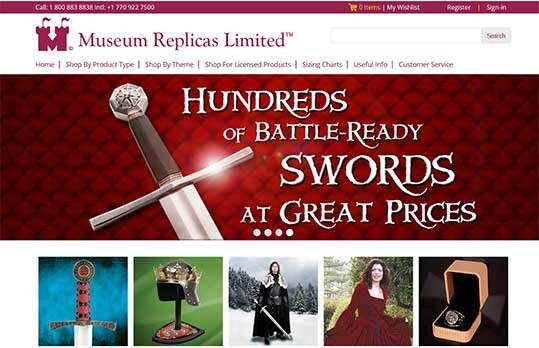 To return to WARNING: Do Not Buy Swords Online Until You Read This from Sword Buyers Directory: The Best Places to Buy Replica Swords Online, click here.